File photo by T. Rob Brown, used with permission of the Joplin Globe. The “C” You In The Major Leagues Foundation and Blue Cross and Blue Shield of Kansas City (Blue KC) have announced Royals Hall of Fame shortstop Freddie Patek as the August Blue KC Coaches with Character honoree. 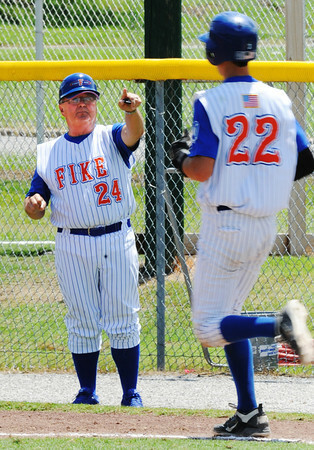 Patek was nominated for Blue KC Coaches with Character by his daughter, Heather Rehkow, who has observed the impact Patek has made on his players—including her own sons—over the course of his nearly three-decade coaching tenure. From 1971 to 1979, Patek was a staple at shortstop for the Royals, earning three All-Star nominations and helping the Royals capture three AL West titles from 1976 through 1978. Known for his defense and speed, Patek led the AL in stolen bases in 1977 and was referred to by manager Whitey Herzog as the best artificial turf shortstop he ever managed. Currently coaching little league in the Blue Springs area, Patek draws on his Major League experience and personal values to help his players develop a strong work ethic, positive attitude and mental maturity. As a Blue KC Coaches with Character honoree, Patek will join the six coaches who have been honored throughout the season at an event on September 11 at Kauffman Stadium. The season’s Blue KC Coaches with Character honorees will join Moore and Blue KC representatives at a pregame reception in a private suite before being honored on the field prior to the Royals game against the White Sox. In honor of Patek as the August recipient, Blue KC is making a $2,000 donation to CYITML. The final Blue KC Coach with Character will be selected in early September. Those who would like to nominate an amateur coach for the Blue KC Coaches with Character program are encouraged to visit CYouInTheMajorLeagues.org/bluekc.